"We are delighted to be the 2018 sponsor of the Durham County Golf Union and look forward to the year ahead. 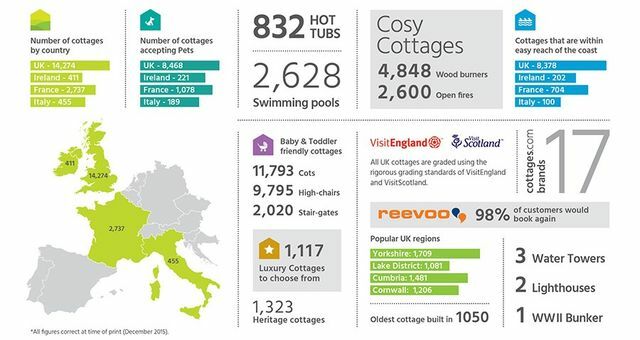 Cottages.com is home to a unique family of specialist holiday cottage collections. By joining us, your property will automatically be marketed on cottages.com – the UK’s most popular cottage holiday website, as well as through a handpicked selection of our collections. We have a diverse selection of holiday properties – not just cottages – and are always looking for more!" We'll work with you to decide which collections are the best fit for your property, showcasing it in the right way to maximise every possible booking opportunity and delivering you more income. Our Area Manager is Annabelle Baker and she lives right in the heart of Durham so knows just how great an area this is for holiday accommodation that can suit all types of guests including those who want to come and play golf, explore the area or visit friends and family at Durham University. Unlike most large letting agents, our local experts offer face-to-face support and advice whenever you need it – not just at the initial property visit. Visit www.cottages.com/let-your-property for a FREE information guide."